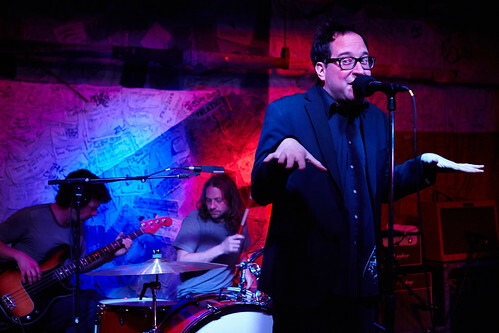 The Hold Steady at Hill Country BBQ — from Flickr user wfuv, used under Creative Commons license. Damn it’s a good viewing experience. Found that the website and the streaming video opened easily on my iPad, and there was no impediment to Airplaying it directly to the big TV through the Apple TV. That’s not something you can say for a lot of local streaming media applications, so all good here. And the streaming is brilliant — broadcast quality, no lags, no glitches. Maybe I’m late to the party to see this, but the quality is brilliant and it’s big screen quality sound and vision. Kicking back now to enjoy the rest of the show! Why on earth do you need regular networks playing mostly awfulness when you can get your favourite band live to your TV? The media landscape is truly changing, and stuff like this is almost entirely for the better.